In the first of two articles, Theano Anastasopoulou uses behavioural economics to understand and investigate how physicians make decisions and thereby improve the take-up of new medicines. A common question from brand teams launching a new drug is how to make it the preferred physician choice over current treatment. Approvals by the US Food and Drug Administration (FDA), European Medicines Agency (EMA) and other regional bodies before new drugs are licensed ensure that new drugs offer benefits over existing ones for appropriate patient populations. It follows that a rational healthcare professional (HCP) should be able to compare the benefit or, in economic terms, the ‘utility’ offered by existing and new products, choose the one with the highest utility and quickly start offering the new option where appropriate. This outcome is predicted by the ‘expected utility’ theory in economics where people are ‘rational agents’ acting on a mission to maximise utilities. However, experience shows that new product adoption does not follow the above rational law and switching to a new drug may be very slow when it doesn’t offer a real breakthrough, despite offering clinical benefits. HCP treatment decision making involves a trade-off between various factors. The decision will involve an efficacy target, elements of risk for each patient and possibly a cost target. 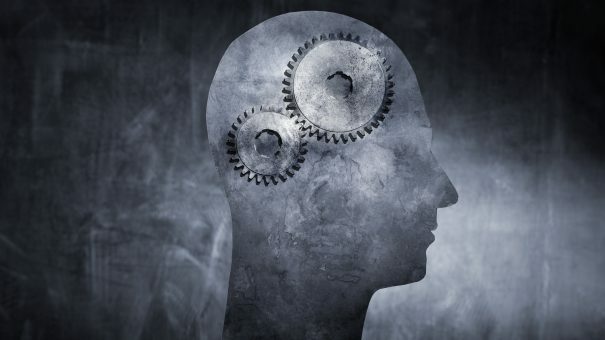 Cognitive biases may come into play and are likely to make HCPs overwhelmingly choose one treatment over another, objectively similar, one, choose a suboptimal treatment, or even stick to a treatment beyond the point when they should choose another one. To understand HCPs’ decision making we must look beyond rational economic models at theories incorporating decision-making biases. Prospect theory (Kanheman and Trevsky, 1979) is a well-known theory about how people make decisions and was a response to the rational agent economic models of the time. Although prospect theory applies to a specific task, Kahneman and Trevsky offered a more accurate explanation of human decision making that takes into account certain underlying cognitive features. An important contribution of their theory was the focus on a reference point, the starting point for any decision. This reference point is determined by current circumstances or the context of the decision. In a healthcare setting, a new drug will be evaluated against the current prevalent ‘standard’ treatment, and this is the starting point for a treatment decision. An important cognitive feature described by prospect theory is loss aversion. If the current standard treatment offers an efficacy benchmark, then a reduction from this benchmark is likely to lead to a larger perceived ‘loss’ than the perceived gain from an increase of a similar magnitude from this benchmark. So the perceived utilities of an increase or a decrease from a benchmark will be asymmetrical. This will apply to different aspects of a drug’s performance, including efficacy, tolerability, ease of administration and cost (Figures 1 and 2). A manufacturer applying a rational cost-benefit analysis to its new product may consider a loss in any one of those aspects compensated for by gains in another, ending in a considerable overall benefit. Taking into account the fact that HCPs will disproportionately avoid losses, rather than be attracted to gains, they are likely to show greater resistance than a rational economic analysis may predict and fail to live up to manufacturers’ expectations on the uptake of a new product. Any underperformance of a new drug versus existing standard therapies would need to be over-compensated for by improvements in other areas to ensure the new product would be chosen over current alternatives. The degree of this overcompensation depends on a number of factors and would need to be tested empirically in a new product test with decision-making HCPs. Obviously, if any aspect of the new drug’s performance had no loss, this bias would not apply. Another key cognitive principle at play is that of diminishing returns. A 5% absolute reduction of an adverse event incidence for a new product when the current treatment shows a 10% incidence will be perceived as more beneficial than if the current treatment shows a 50% incidence. So, in this case, the real driver will be a proportional decrease (50% relative reduction or 10% relative reduction, respectively) rather than the absolute level of the decrease. A number of other well-documented cognitive biases can help us better understand HCP decision making that results in delaying new products’ uptake. Research has addressed a potential bias that results from having multiple (versus only one) treatment alternatives. Redelmeier and Shafir (1995) looked at a large sample of family doctors’ decisions in treating osteoarthritis. One of the scenarios presented to family doctors described a 67-year-old man with chronic hip pain who had been diagnosed with osteoarthritis. Half the participants were asked to imagine that they had tried several non-steroidal anti-inflammatory drugs (NSAIDs), all of which were ineffective; that they had referred him to an orthopaedic surgeon for possible hip replacement; but that they then discovered there was one NSAID the patient had not yet tried (ibuprofen). They were then asked whether they would postpone the referral to orthopaedics (which was now the default option as the patient was already referred) and start ibuprofen, or continue with the referral without starting a new medication. The remaining participants were given the same basic information but were told that there were two untried NSAIDs (ibuprofen and piroxicam). Redelmeier and Shafir found that adding the second option increased the probability of choosing a previously-available alternative. When only one medication was available, 53% chose the default option (i.e., continue with referral without medication), whereas 72% chose the default option when two medications were available (Figures 3 and 4). They concluded that “the uncertainty in deciding between two similar medications led some doctors to avoid this decision altogether and recommend not starting any new medication”, even though the relative merits of starting a new medication (versus not) were identical in the two conditions. A similar finding was demonstrated for neurologists’ and neurosurgeons’ recommendations for carotid artery surgery when presented with a variable number of options. The implication for our discussion is that the launch of two similar new products simultaneously offering a viable alternative to an established therapy may actually result in a higher preference for the established therapy when compared with a scenario where only one of the new products becomes available. This finding clearly has implications for modelling and forecasting product take-up in a market following new drug launches. Also, it may have implications for manufacturers of an established product when a new competitor is entering the market. The launch of two new products in the same therapy area at the same time may actually defend their established brand. Regret can also affect an HCP’s decision making. The anticipated regret, when a bad outcome occurs, is greater if the outcome resulted from the HCP’s action in treating a disease than from inaction (Elstein, 1988). HCPs tend to take more credit for ‘good’ decisions (i.e. those with positive outcomes) than for ‘bad’ decisions and to evaluate them more positively (Gruppen et al, 1994). It is likely that pre-empting possible regret is one way in which doctors make themselves feel better about their diagnostic and treatment decisions, avoiding ‘bad decisions’ and opting for inaction instead. This different perception of harm caused by inaction, as opposed to action, is due to clinicians’ greater sense of responsibility if an adverse outcome — such as negative drug effects — is caused by treating something rather than by not treating it and adopting a ‘watchful waiting’ approach (Elstein et al, 1986; also see Spranca et al, 1991). This effect may be relevant in a number of therapy areas. One example is hepatitis C (HCV). The new generation of highly effective direct-acting antivirals (DAAs) to treat HCV infection brings major promises to infected patients in terms of exceedingly high rates of sustained virological response (SVR) but also of tolerability, allowing even the sickest patients to be treated. However, these highly-anticipated drugs will not be available to many countries for at least another year. This has resulted in a ‘warehousing’ phenomenon where certain patients are deferred and not treated with currently-available medications that are associated with significant adverse effects so that they will be treated with the new DAAs once they become available. Regret is likely to influence individual patient decisions of deferral, maybe by increasing the number of patients deferred over and above the number expected by a rational analysis of the pros and cons of deferring treatment. This effect leads to a reversal of the resistance to switching discussed before. This is an example of established treatments being at a disadvantage versus new treatments due to overwhelming improvements in efficacy and adverse outcomes. However, it also may lead HCPs to avoid taking action by switching to a new drug if they are concerned this will result in a negative outcome for their patient. In summary, current literature on decision-making biases can help us understand, measure and try to predict decisions to switch to new products. We can anticipate expected outcomes to depend on loss aversion, the number of alternatives, the reference point, or the influence of regret. As shown, results can vary significantly depending on those factors. Understanding and empirically testing these factors in well-designed market research can help us increase the effectiveness of strategies and tactics in launching new products. Elstein A S (1988). Cognitive processes in clinical inference and decision making. In Reasoning, In-ference, and Judgment in Clinical Psychology (eds. D Turk & P Salovey), pp. 17–50. Free Press, New York. Elstein A S, Holzman G B, Ravitch M M, Metheny W A, Holmes M M, Hoppe R B, Rothert M L & Rovner D R (1986). Comparison of physicians’ decisions regarding estrogen replacement therapy for menopausal women and decisions derived from a decision analytic model. American Journal of Medicine, 80, 246–258. Gruppen L D, Margolin J, Wisdom K & Grum C M. (1994) Outcome bias and cognitive dissonance in evaluating treatment decisions. Academic Medicine, 69, S57–S59. Kahneman, D & Tversky A (1979). Prospect Theory: An Analysis of Decision under Risk. Econometrica, Vol. 47, No. 2, 263-292. Spranca M, Minsk E & Baron J (1991). Omission and commission in judgment and choice. Journal of Experimental Social Psychology, 27, 76–105. The second article in this series will examine how behavioural economics can inform the design of successful marketing campaigns promoting new products. 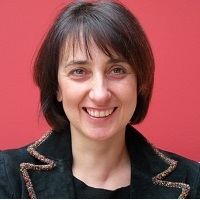 Dr Theano Anastasopoulou is a group director in the Advanced Methods team at life science market research company Kantar Health. She is primarily responsible for providing consultancy and methodological support in the design and analysis of market research programmes. Dr Anastasopoulou consults on optimal methodolo-gies, testing new products, marketing materials, branding strategies and customer segmentation. She has 20 years’ research experience as an analyst and market research methodologist and holds a PhD in Cognitive Psychology from University College London.